Bestselling Author and President and CEO, Extreme Leadership, Inc.
Steve Farber is the President and CEO of Extreme Leadership, Inc. and the founder of The Extreme Leadership Institute, organizations devoted to the cultivation and development of Extreme Leaders in the business community, non-profits, and education. A frequent guest on news-talk shows around the country as well as a senior-level leadership coach and consultant, Steve has worked with and spoken to a wide variety of public and private organizations in virtually every arena. He is also the co-founder of The Center for Social Profit Leadership, a non-profit organization formed to serve the leadership development needs of social entrepreneurs, and served as Vice Chairman on the Board of Directors of the world-renowned organization Up With People, a global leadership program for students from 18 to 29 years old. Steve’s third book, Greater Than Yourself: The Ultimate Lesson In Leadership, was a Wall Street Journal and USA Today bestseller. 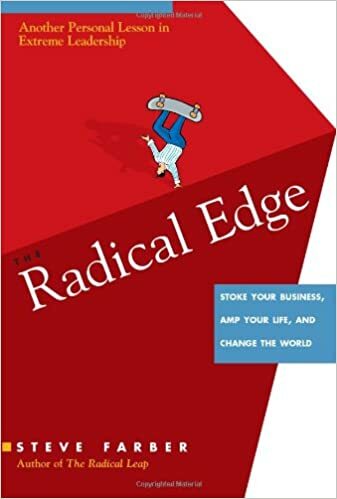 His second book, The Radical Edge: Stoke Your Business, Amp Your Life, and Change the World, was hailed as “a playbook for harnessing the power of the human spirit.” And his first book, The Radical Leap: A Personal Lesson in Extreme Leadership, is already considered a classic in the leadership field. It received Fast Company magazine’s Readers’ Choice Award and was recently named one of the 100 Best Business Books of All Time. It’s newest edition, The Radical Leap Re-Energized: Doing What You Love in the Service of People Who Love What You Do, is in bookstores now.